Dr. Commander Selvam (Swamiji Sri.Selvam Siddhar) scrutinizes the horoscope as per the ways and means mentioned in Atharva Veda. As a Swamiji he himself performs the rituals through the trained Punditjis as per the needs of the individual. By performing these rituals as per the Atharva Veda standards, one can have the best spiritual salvations of the problems. The following are the few examples of his services. The first is the relationship between a child and parents. Atharva Veda Pithru Bhakthi Rituals. This ritual is specially meant for the betterment of adamant kids. This Pooja is also beneficial for Self control, mental peace, destroy the evil forces, respect to the scholars and the elders. According to the epics, Lord Sri.Rama is known as the seventh incarnation of Lord Mahavishnu. 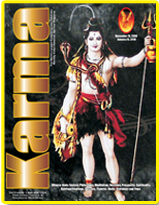 Rama, the perfect avatar of the Supreme Protector Lord Mahavishnu, has always been popular among the Hindu deities. Rama is the symbol of courtesy and virtue, a man of values and morals. Lord Rama is the perfect man. Lord Rama is considered to have taken birth on the earth to destroy the evil forces of the age. The next is for the development of business and to get rid of the Vaasthu Dosham. The next if for the good health. This ritual is also to get spiritual healings for all kinds of sickness. The next is to have spiritual salvations for the family problems. The next is to develop the understanding, love and affection between the husband and wife. The next is to get spiritual salvation to develop potentiality in male. The next is to get more wealth and peace in the family. Matha Lakshmi, the consort of Vishnu, is the most sought Goddess. Lakshmi is the ruler of the eight kinds of wealth. It is said that the household where she is not worshiped will never prosper. Her eight forms are Maha Lakshmi, Graha Lakshmi, Dhana Lakshmi, Vidya Lakshmi, Santana Lakshmi, Vijaya Lakshmi, Dhanya Lakshmi and Sowbhagya Lakshmi. Maha Lakshmi is the in charge for all kind of wealth and peace. Graha Lakshmi is the in charge for house hold wealth and land properties. Dhana Lakshmi is the main in charge for money and precious ornaments and among all the eight Laksmis, she is the most worshiped. Vidya Lakshmi is worshiped for knowledge. Santana Lakshmi is worshiped for children. Vijaya Lakshmi is worshiped for victory in undertakings & court cases. Dhanya Lakshmi is worshiped by the farming community. Sowbhagya Lakshmi is worshiped of marriage and happy married life. This ritual is to get spiritual relief from debts and poverty. Kanakadhara Mahalakshmi Ritual is the most beneficial for the relief from the debt, getting more and more wealth, to solve the business problems and to get family peace. This is the best ritual for wealth, prosperity and spirituality. This ritual is the best for the development of business. The following ritual is for getting great knowledge and vast wisdom.